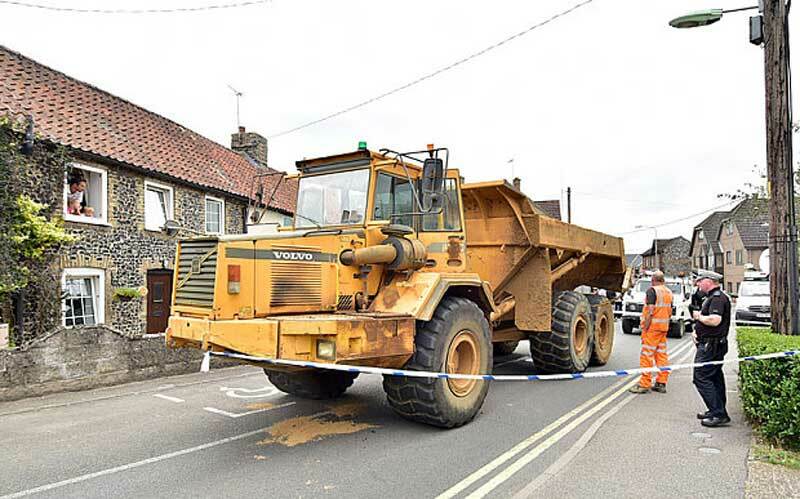 A man who stole a dumper truck and left a 37-mile (59.5km) trail of destruction during a police chase across two counties has been jailed. 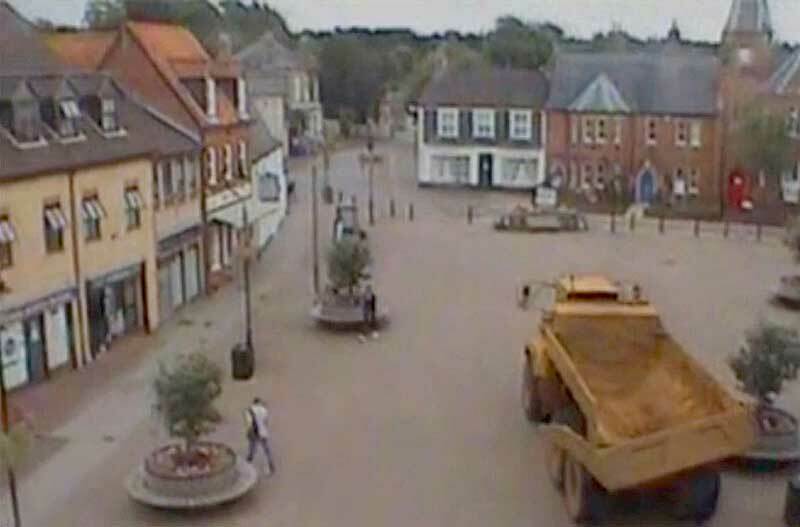 The two-hour low-speed pursuit last July started in Norwich and ended in Brandon, Suffolk, and caused thousands of pounds worth of damage. Nicholas Churchill, 40, from Brandon, Suffolk, wrote off two cars and damaged several others after a "red mist" descended. A police officer whose car was rammed said he thought he was going to die. 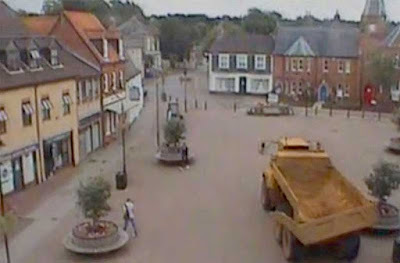 The pursuit took place on major roads including the A140, A11, and A134 - as well as in a pedestrianised precinct - and involved six police cars and a helicopter. At an earlier court hearing, Churchill admitted aggravated vehicle taking, dangerous driving and driving while unfit through drugs. Norwich Crown Court heard he took the 30-tonne truck from his employer after becoming angry about the air conditioning in his cab when it became too hot to work at a quarry in Spixworth, Norfolk. 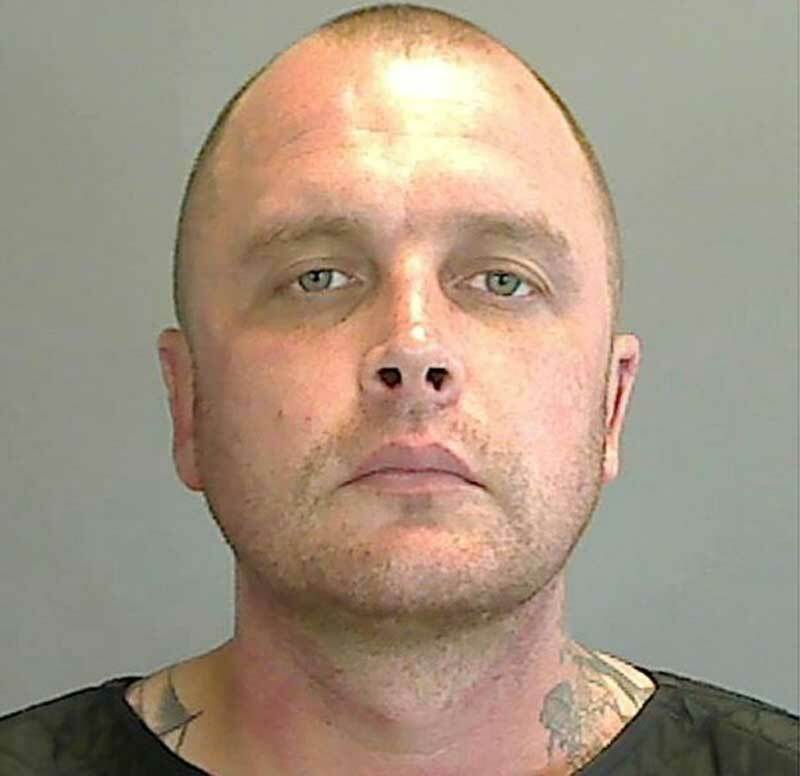 But it was a mild day of about 13C (55.4F) and he felt hot because he had been taking amphetamines, prosecutor Andrew Oliver said. His antics left a trail of destruction along the way and shoppers were forced to scatter as he drove through the Brandon street that is closed to traffic. 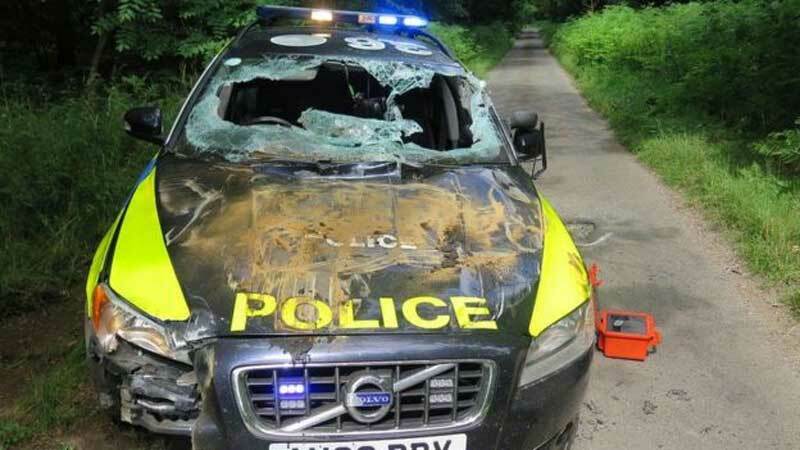 A Norfolk policeman, whose patrol car was rammed, told the court: "I thought I was going to die. I was petrified." Churchill's rampage damaged police cars and the truck he was driving was estimated at costing more than £26,000 to repair or replace. In mitigation, the court was told: "The red mist descended. What happened after that he can't remember or explain." Jailing Churchill for 14 months and banning him from driving for two years, Judge Anthony Bate said: "You left a trail of destruction and damaged police vehicles in your wake. It was a shocking piece of sustained dangerous driving." I thought that town square looked familiar. Lived in that cesspool of a village for four years. Filled to the brim with hooligans, kids that run around at all hours of the night and parents who don't care. I wouldn't walk a block away without turning on my house alarm.